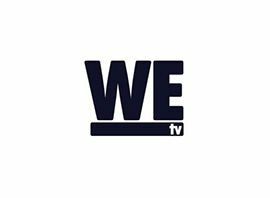 WE tv is an American digital cable and satellite television channel that is owned by AMC Networks. Similar to VH1 and Bravo, the channel´s programming focus is bent mainly towards women, though since the fall of 2014, the network has also attempted to accommodate additional male viewership. As of February 2015, approximately 85.2 million American households (73.2% of households with television) received WE tv. In March 2015, Dish TV´s Sling TV announced it would soon begin making AMC channels available to cord cutters, including AMC, BBC America, IFC, SundanceTV, and WE tv. WE tv was originally known as Romance Classics when it launched on September 1, 1997 under the ownership of what was then the Cablevision Systems Corporation-controlled Rainbow Media. It was originally a movie channel focusing mostly on romantic dramas and comedies, and television miniseries; similar to the original format of sister network, AMC (as American Movie Classics), the channel initially broadcast its films commercial-free. This format was abandoned in 2001, when the channel was relaunched as WE: Women´s Entertainment, taking on an ad-supported general entertainment format. In 2006, the channel was renamed WE tv. The channel aired the first three seasons of the popular Logie Award-winning Australian television series McLeod´s Daughters, but dropped the show in April 2006. The channel´s format then shifted towards reality shows, with several having topics related to weddings (such as Bridezillas, Big Easy Brides and My Fair Wedding with David Tutera). Other popular shows on the network included Secret Lives of Women, The Locator and Amazing Cakes.